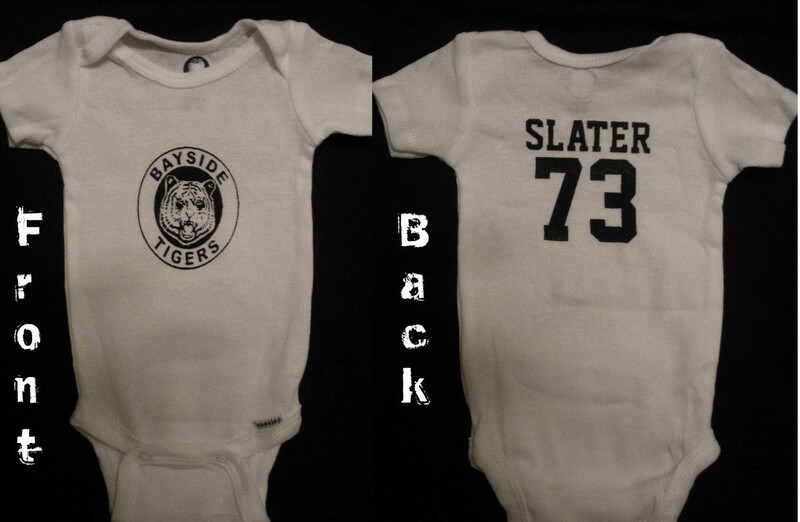 Home› News › A Real Slater onesie! Its been a while since my last post, things have been busy and sort of hectic. A little over a week ago, I was contacted by the producer of a TV show down in Florida called, “Daytime”. I was a bit skeptical of the call due to the nature of the request. 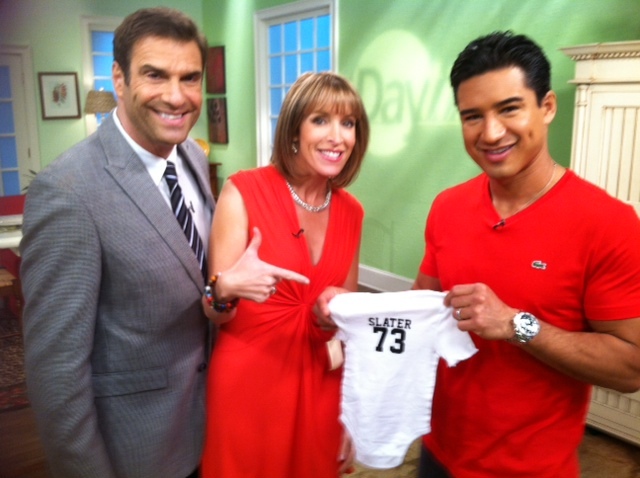 They informed me that Mario Lopez was going to be coming on their show and that they wanted me to send them our “Slater Onesie” because he was expecting a baby soon. I was pretty excited. I grew up watching that show and I was a pretty big fan. The producer told met that they would be taping the show ahead of time and then it would air in April. I sucked it up and mailed out the onesie, hoping that it wasn’t some prank or scam. Days later…it totally paid off! Thanks to “Daytime” in Tampa! This had has pretty much been the ultimate highlight so far since I started screenprinting. I mean look at this….